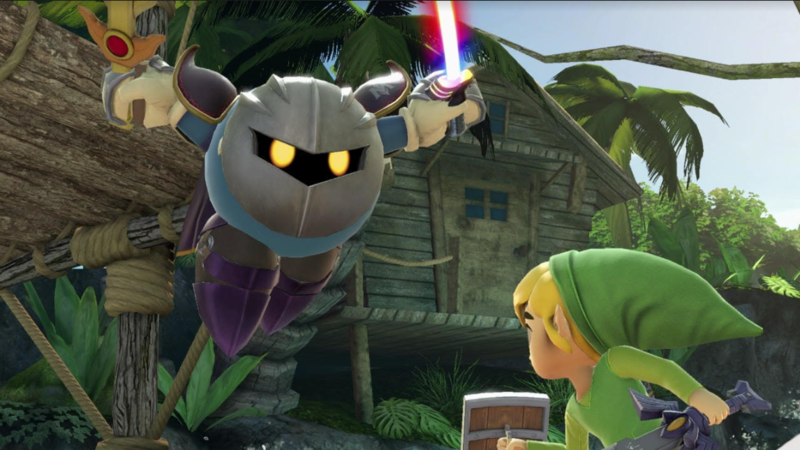 Suggested by Sonic Meta Knight is a good swordsman, but he isn’t quite ready to take on someone like Toon Link. Toon Link has his own version of the Master Sword after all and he could block as many of Meta Knight’s attacks as necessary. He also has a whole slew of other weapons at his disposal with which he can claim the advantage and begin to take the upper hand in this fight. Meta Knight won’t have an answer for these attacks. Toon Link wins. 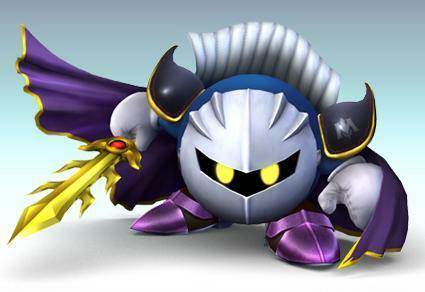 Suggested by Sonic Meta Knight is a mysterious swordsman who has given Kirby a run for his money at times. Still, he is no match for Roy. Roy is also a very skilled fighter and his flame blade is to be feared. He is significantly faster than Meta Knight and his blows also hit a lot harder. Meta Knight will be on the defensive for the whole match and by the end he will have been forced to acknowledge Roy’s power. From all of the Fire Emblem characters throughout history Roy is likely still top 5 in terms of power. Roy wins. Suggested by Someone Meta Knight may not be a traditional looking swordsman in the same way as Link or Marth due to his size, but his skills are certainly very real. 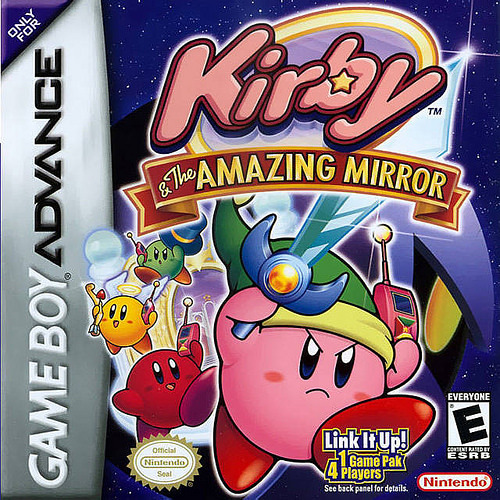 He has a powerful ship which was even able to down the Great Fox and he’s given Kirby some tough calls. That being said, I don’t believe he will be able to keep up with Kiva in this round. Kiva has some good sword skills of his own and has a huge advantage in destructive power. 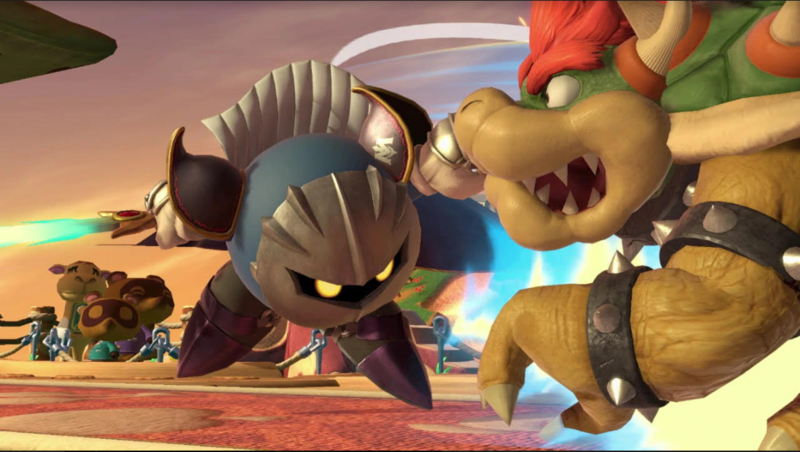 A single hit could possibly be fatal for Meta Knight. Kiva wins. Aw man! This is what I call a stomp, but not literally. I’m afraid that King Caesar will not be able to lay a claw on the massively overpowered swordsman. He was so good that he was even banned in one of the Super Smash games at one point. His great speed and array of solid close combat options will let him counter anything that the King can throw his way. He’s also got the Halberd of course, which packs a punch. A human sized opponent could have time to get on board or dodge, but that’s not an option for a Kaiju. Meta Knight wins. Meta Knight is a skilled swordsman, but he’s no match for the Blue Bomber. Mega Man is definitely one of the strongest fighters to join the Smash Bros ranks and he’s not to be underestimated. 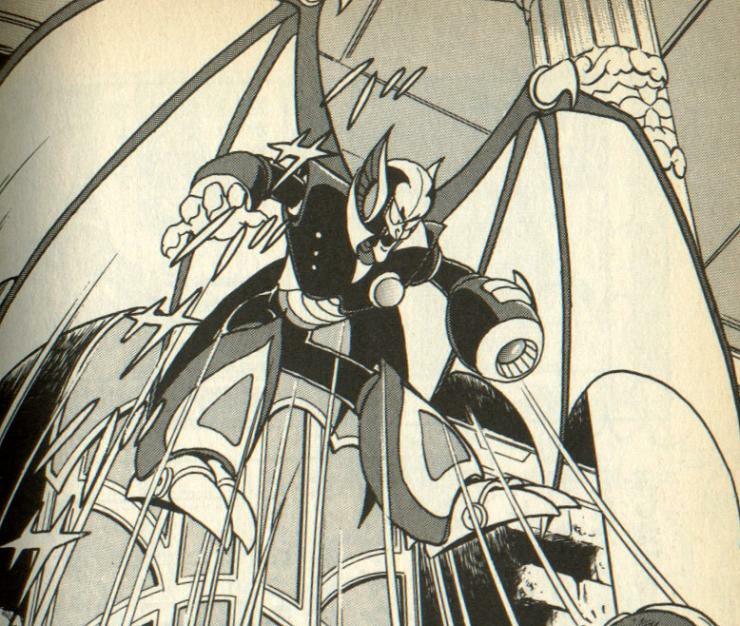 He has the abilities of over 80 Robot Masters and his power level continues to rise. One shot from his Super Robot form should be enough to grant him the win. Mega Man wins. It’s a battle of bats in this round! 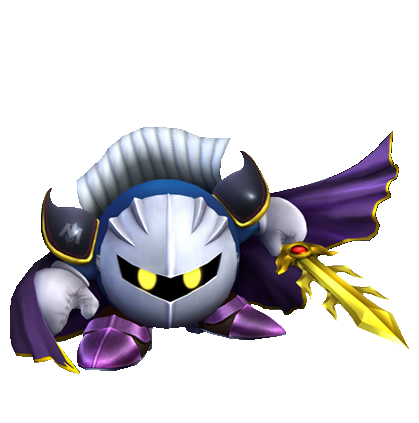 Meta Knight is quick with a sword and his cape conceals his presence until he is close enough to slash away at his opponent. Shade Man is not one of the more well known Robot Masters, but his skills are at a high level and his Noise Crush ability should win him the match. He can keep up with Meta Knight physically and Shade Man’s main attack can deal a lot of damage. Shade Man wins. 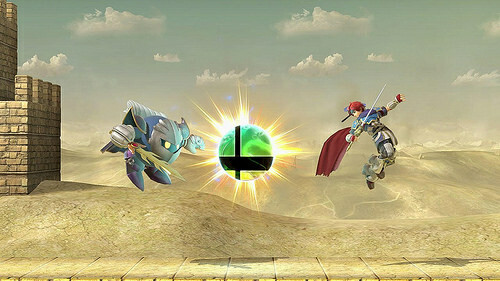 Krillin has his Destructo Disc at the ready, but Meta Knight’s got some pretty good sword skills. 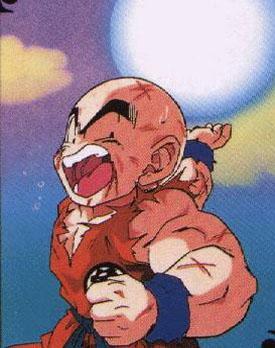 In the end Krillin has some serious planet busting skills which should end the match in his favor. 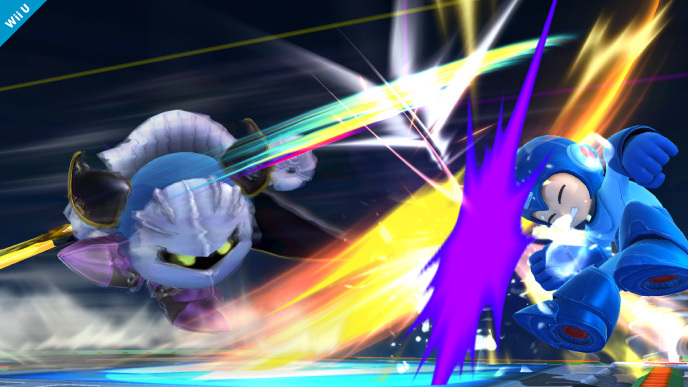 Meta Knight just won’t be able to stop a fully powered Kamehameha wave of such power. Krillin wins. 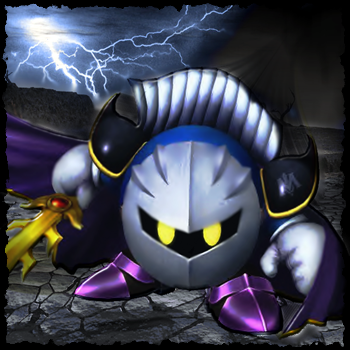 Meta Knight has his sword abilities and speed, but in the end it won’t be enough to take down Allen. 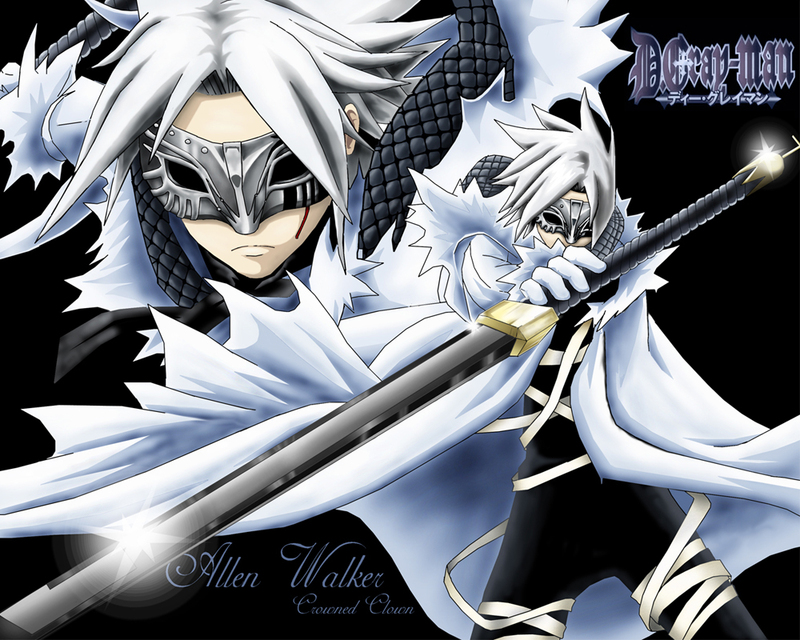 Allen’s sword skills are even better (Plus he has the superior sword) and his speed is also superior. Allen’s got the edge on Meta Knight in pretty much all categories, granting him the win. Allen wins.